Last week’s ex-cellar sale of Latour at Christie’s in Hong Kong has been widely hailed as a success, however there were signs that it failed to generate the same level of excitement as Lafite’s auction last year. Two vintages led the way for Latour over the eight-hour sale – 1961 and 1945 – all of which roundly trumped their high-estimates, being sold for over HK$1 million each. The lots of six magnums from 1961 were the highest-selling lots on the night, each of the three lots selling for HK$1.8m. The four cases of 1961 sold for HK$1.4m each or £130,608. 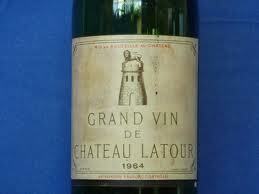 The current best list price on Liv-ex for a case of 1961 Latour is £36,835. A small bidding war also developed over a bottle of 1901, which, with a high estimate of HK$15,000, eventually sold for HK$45,000. David Elswood, international head of wine for Christie’s, said: “The sale marks a triumphant result for Château Latour in Hong Kong. Vintage 1961 reigned supreme, achieving a new record price of HK$1.8m for the 6 magnum lots, while the imperial sold for HK$1.68m. However, despite the good results it was clear that some of the lots did not succeed quite as well as Lafite might have done. Bidding for vintages in the forties, with the exception of 1945, was noticeably sluggish and the 19th century bottles, although sold above their estimates, failed to hit the HK$1m mark that Lafite managed with ease last year for its 1869. Liv-ex has pointed out that the lots of 2009, 2005 and 2000 in particular, generally sold below the Liv-ex mid price with the hammer prices being £11,355, £8,615 and £9,395 respectively. However their respective Liv-ex prices stand at £11,800, £9,075 and £9,500. For more on the 1961 vintage see the June issue of the drinks business.